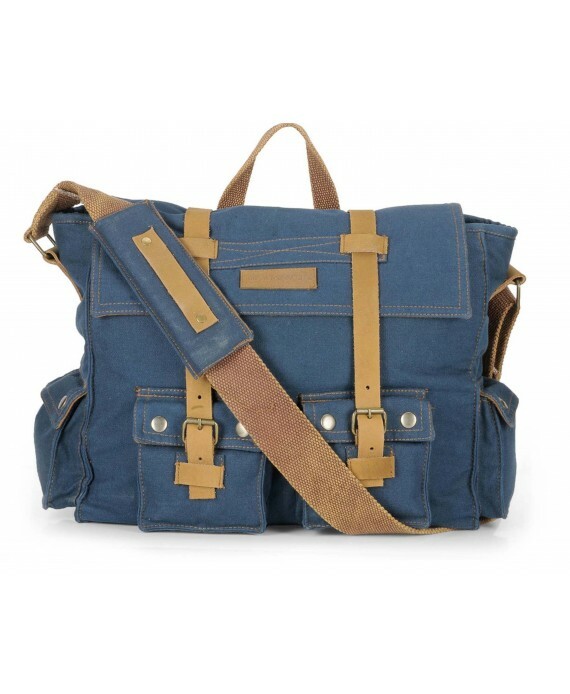 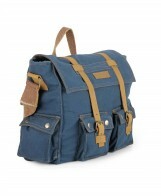 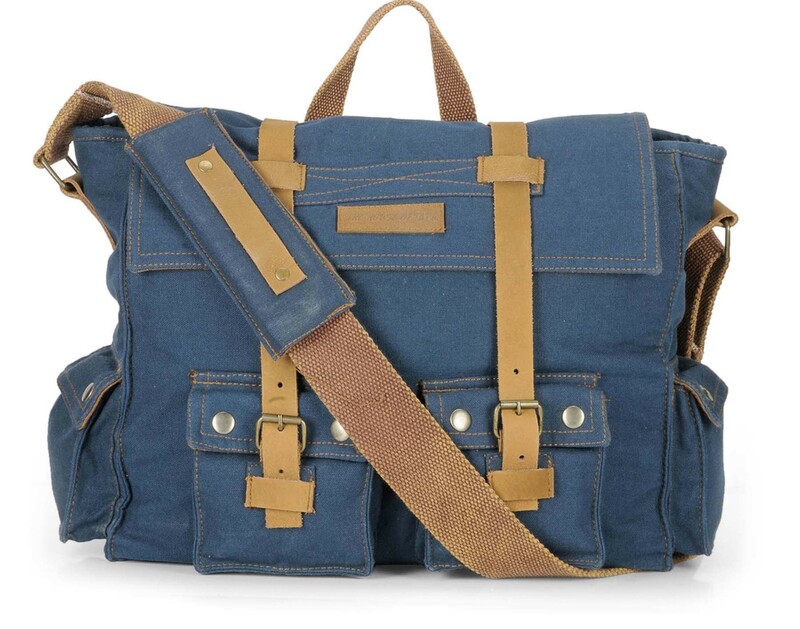 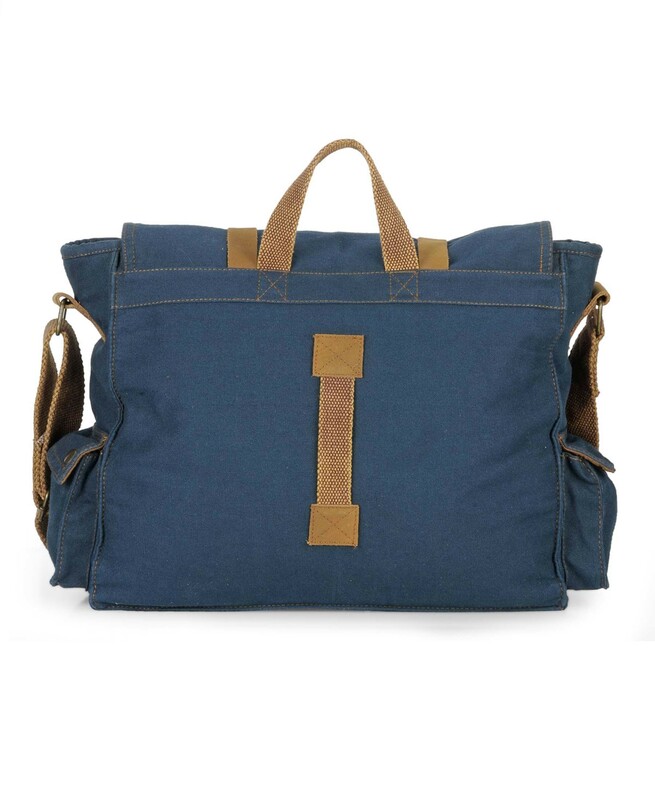 Messenger bag made in 100% cotton canvas and genuine leather. 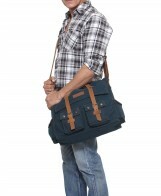 Messenger bag made in 100% cotton canvas and genuine leather. 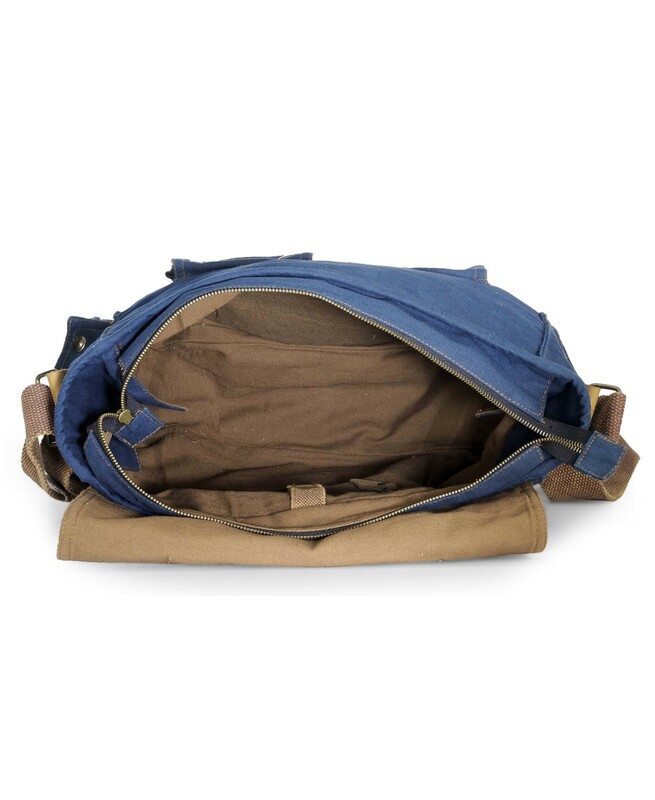 It has 4 external patch pockets with snap closures. It has a zip closure slit pocket on the internal lining. It has a padded partition with a loop to secure the laptop upto 15.6 inch screen size. 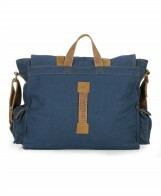 The main compartment has a mettalic zip closure and flap with genuine leather straps. 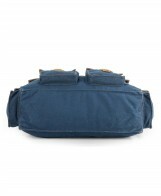 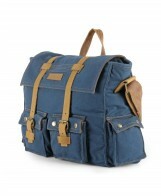 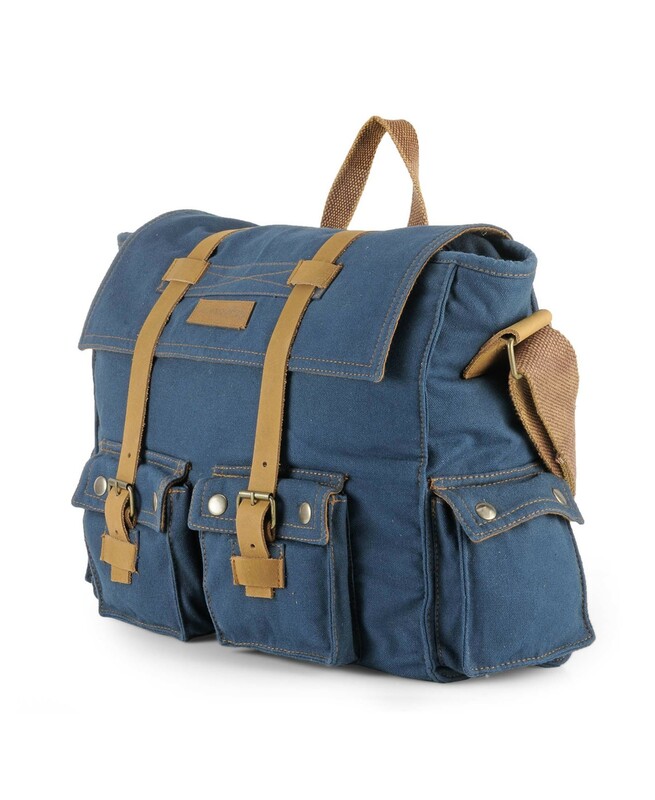 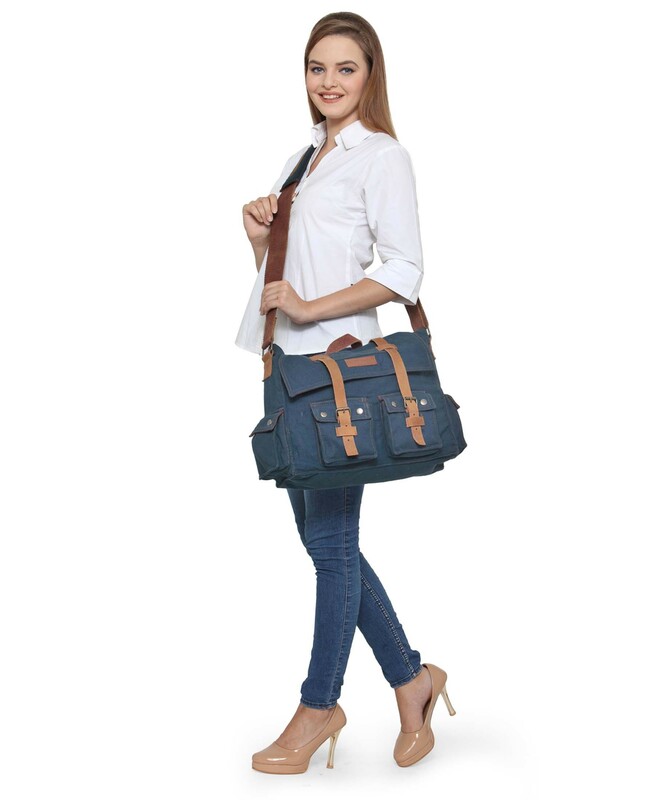 It has a wide and adjustable shoulder strap with a maximum shoulder drop of 24 inches.